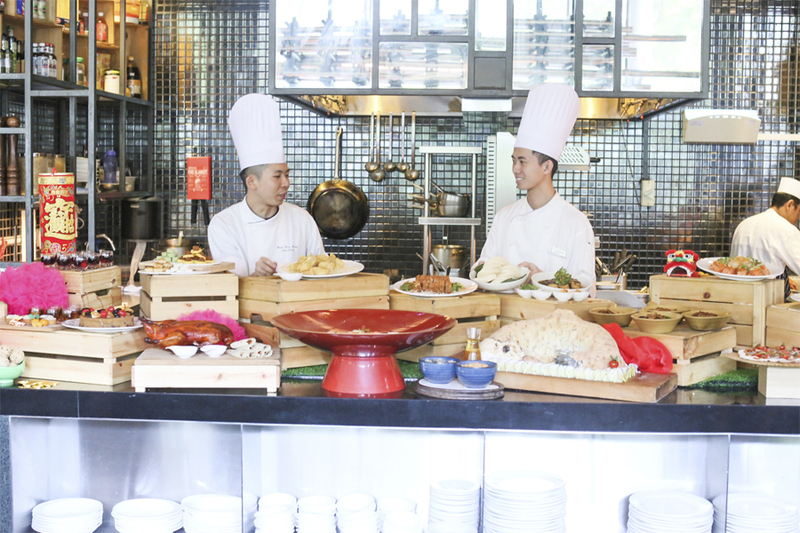 If you are looking for a buffet restaurant for the Lunar New Year festivities, this Royal Reunion special at LIME Restaurant includes COMPLIMENTARY treats of Prosperity Yu Sheng (for buffet lunch and dinner) and Buddha Jump over the Wall (for buffet dinner). 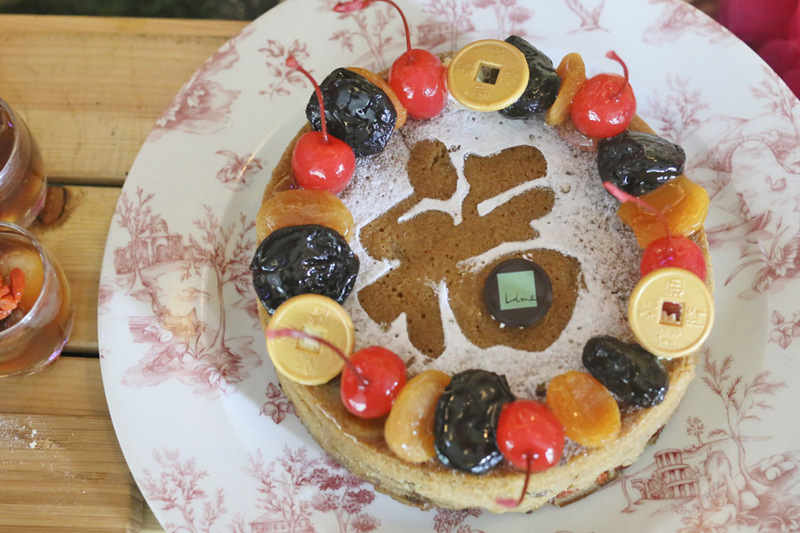 The other luxe, mouth-watering food items include Peking Duck, Claypot ‘Foie Gras’ Rice, Roasted King Salmon in Salt Crust, and exclusive Crispy Suckling Pig (for Chinese New Year eve). Certainly impressive and should also please fussy eaters. Have I mentioned about the Orange Chocolate Fondue Fountain? 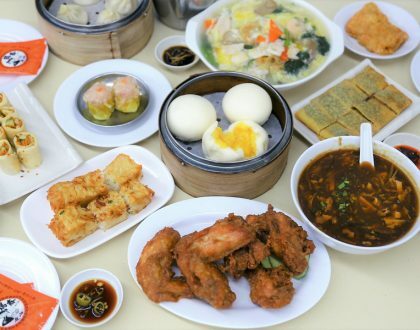 This is probably the only buffet restaurant in Singapore which presents the-best-of-the-best Lunar New Year prosperity dishes all at one place. 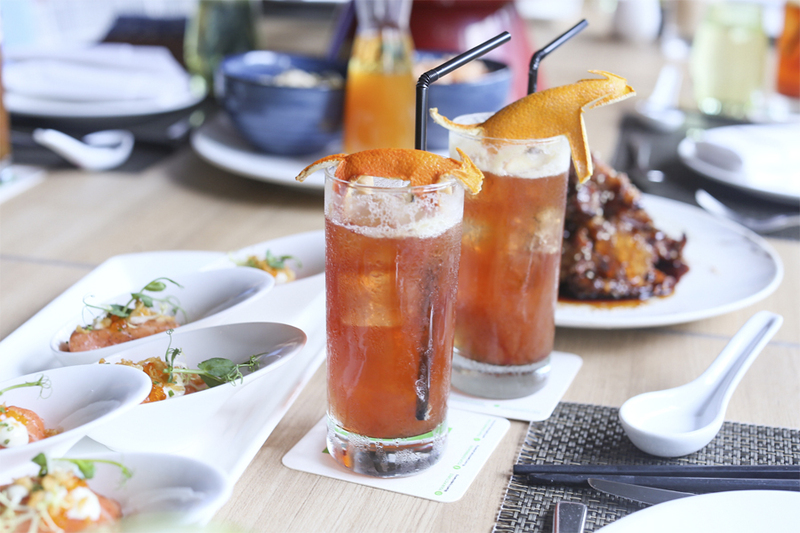 There are two parts to LIME Restaurant’s Lunar New Year, the Feast of Paws-perity from 2 February to 14 February and 19 February to 1 March 2018; and A Royal Reunion on the key dates of Lunar New Year Eve, and on the first, second, third and 15th day of the New Year. 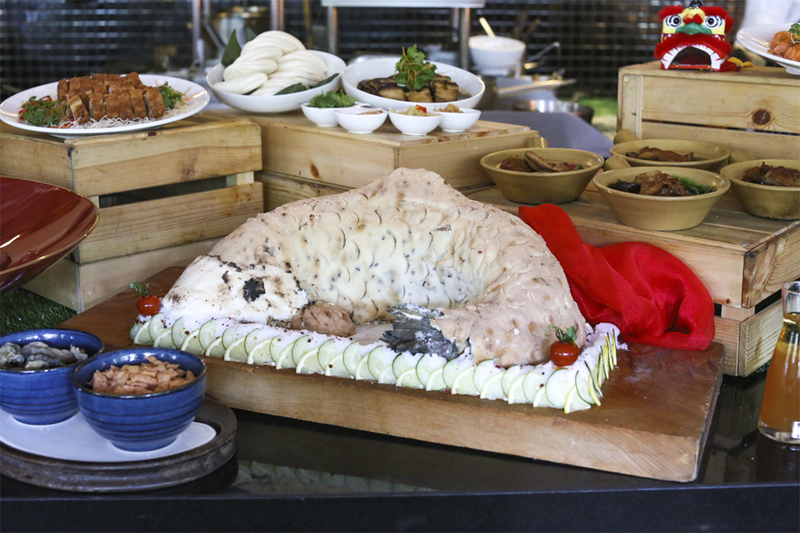 For the “Feast of Paws-perity”, you get to try both LIME Restaurant’s contemporary dishes, and Asian favourites. 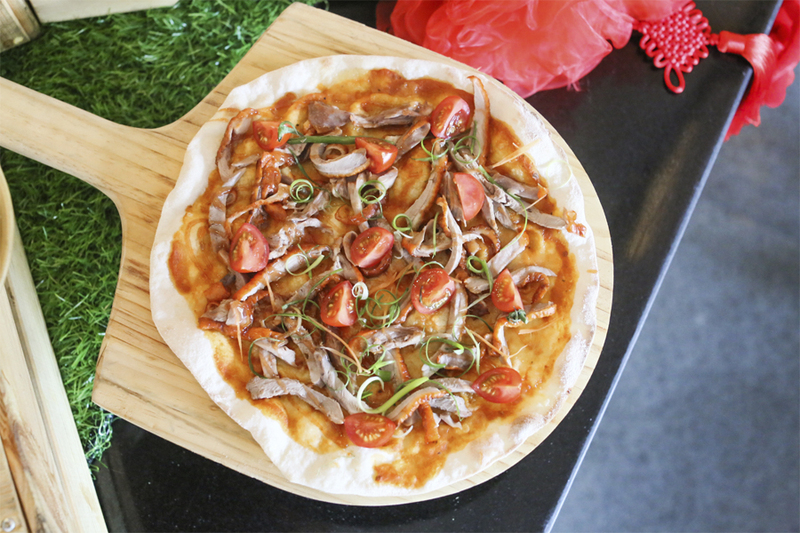 One of the main highlights to me was the Peking Duck with Hoisin Sauce Pizza, with generous duck meat, unique sweet sauce, complete with thin crispy base. These are light, easy-to-eat slices, so you can have room for more. 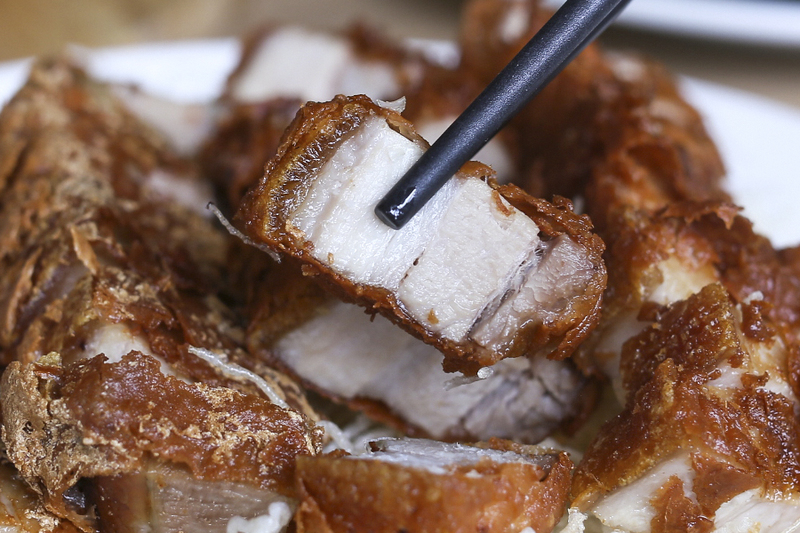 For the meat lovers, there is a dedicated carvery station for crispy Roasted Pork Knuckle which reminded me of another version of ’Sio Bak’ or Slow Roasted Boneless Beef Short-Ribs. 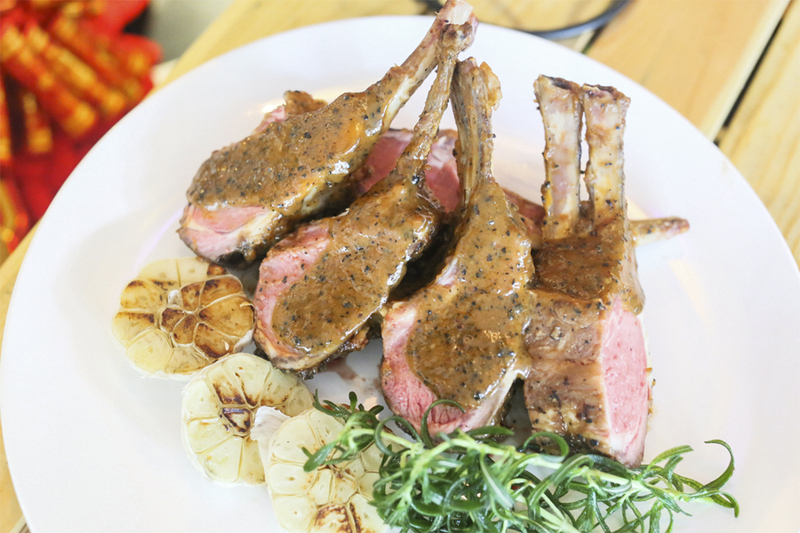 If you are counting on European favourites, the recommended offerings are Pink Peppercorn Brined Salmon fillet with Garlic Aioli, Half Shell Scallop with Garlic Butter, and Thyme and Garlic Roasted Lamb Chop with Mongolian Sauce. 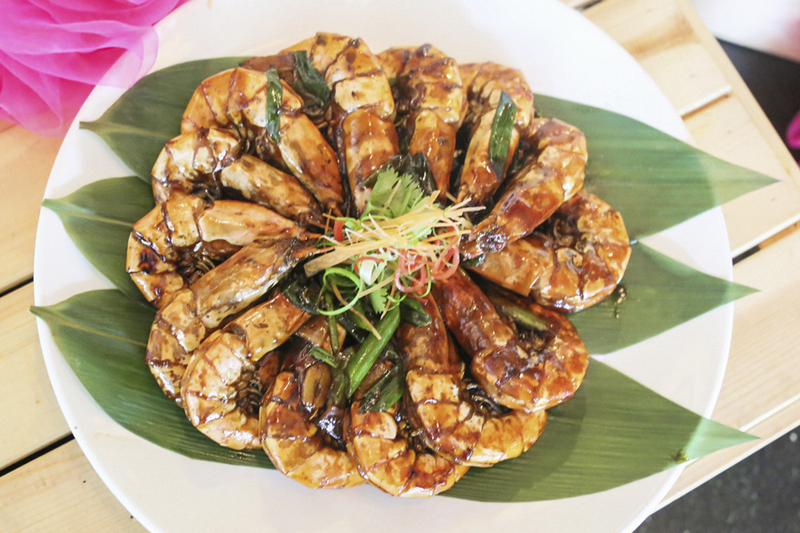 Perhaps it is the season, I found myself going for several of the more traditional Asian dishes. 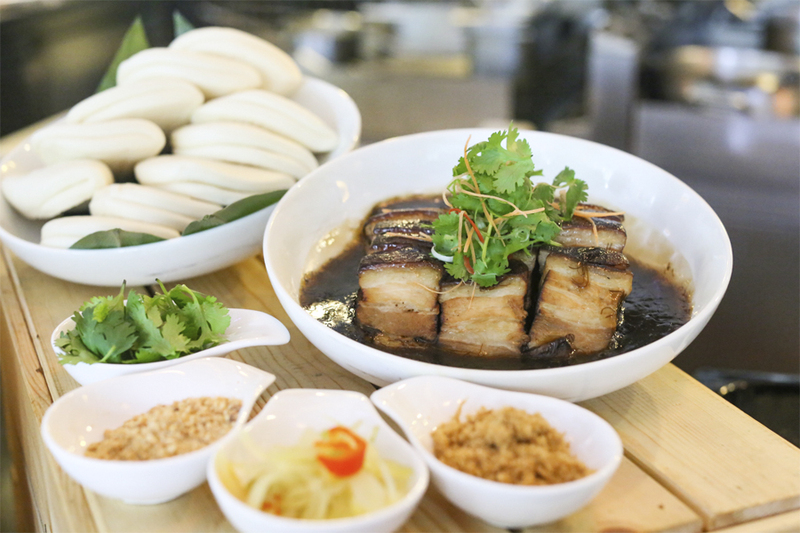 The Slow Cooked Soy Braised Pork Belly with Fatt Choy is a must-have, with melt-in-the-mouth fat, and meat enveloped by caramelised and comforting flavours. 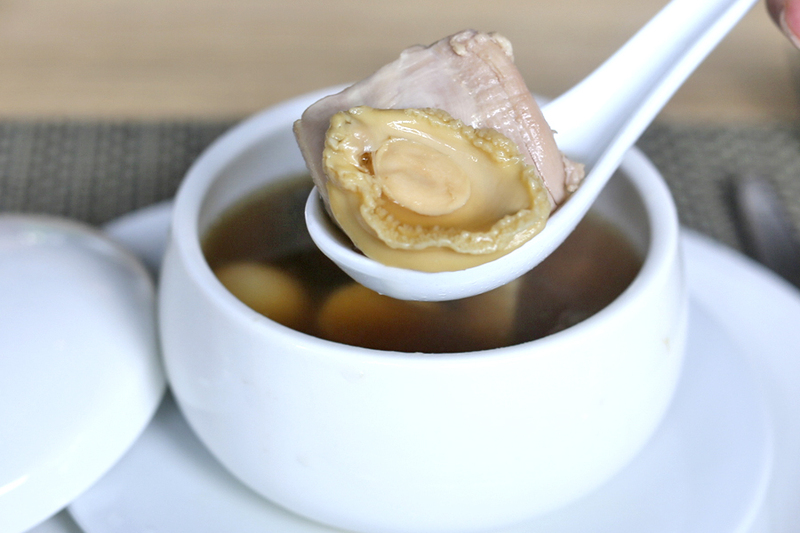 Other Asian favourites include the family-favourite ‘Kong Ba Bao’, Double Boiled Chicken Soup with Ginseng, and Braised Fish Fillet in Traditional Five Spice Soya Sauce. 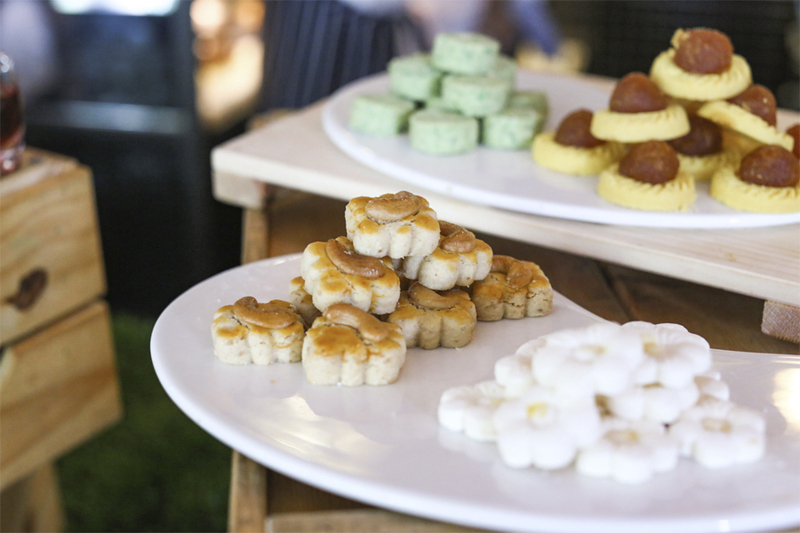 Not forgetting the dessert, as this is the first section everyone pays attention to once you walk into LIME. 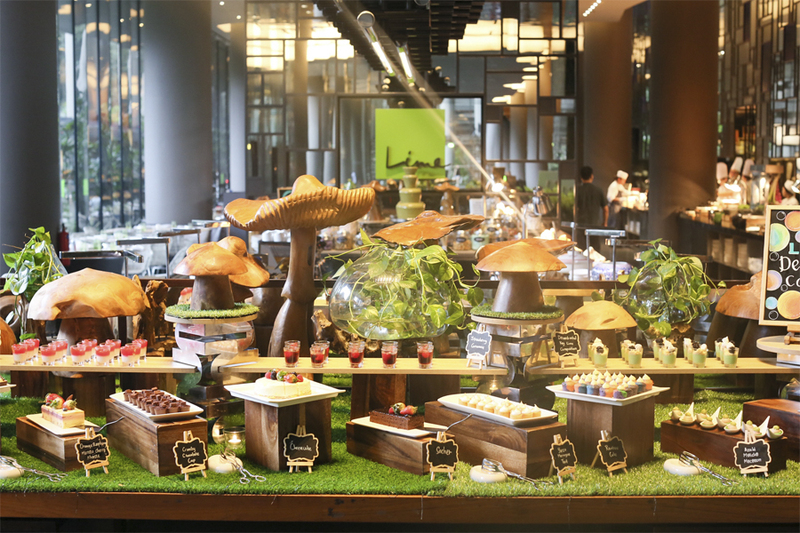 Its signature Matcha Fondue Fountain needs little introduction. For the festive period, this fountain will be transformed to an indulgent Orange Chocolate Fondue Fountain, beaming in hues of bright orange. 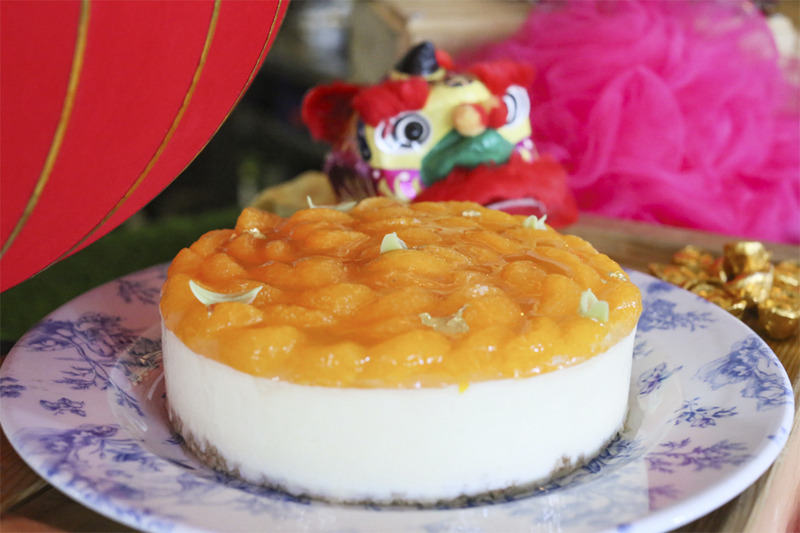 Tip: Get one of the Chinese New Year cookies, say Pineapple Tart into this orange chocolate dip, and try the unique combination and tell me how it goes. 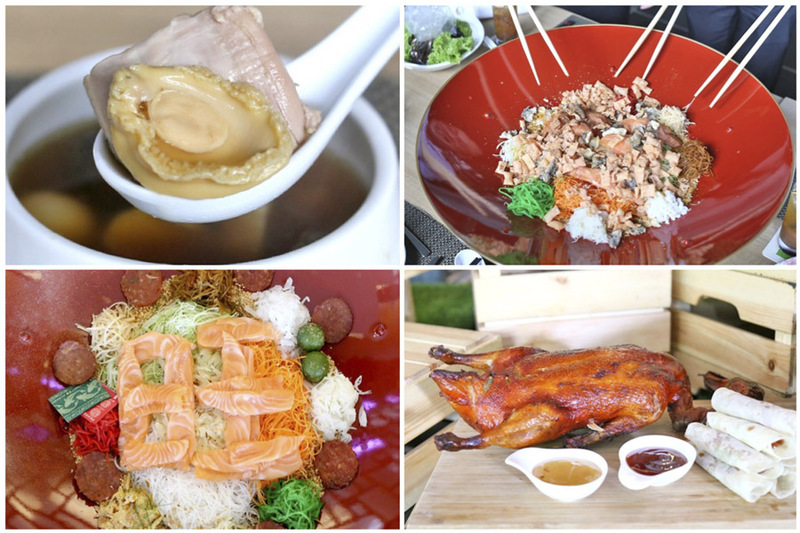 It is a such good deal (and also good luck) that LIME Restaurant is including both Prosperity Yu Sheng (available for both lunch and dinner) and the Chinese delicacy of Buddha Jump Over the Wall (available for dinner only) for the key dates served complimentary. 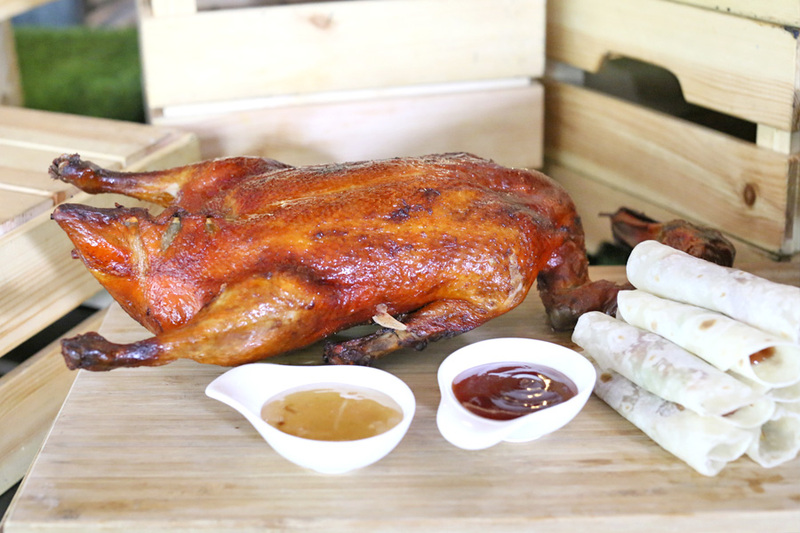 These are for meals on Lunar New Year Eve, and the first, second, third and 15th day of the New Year. 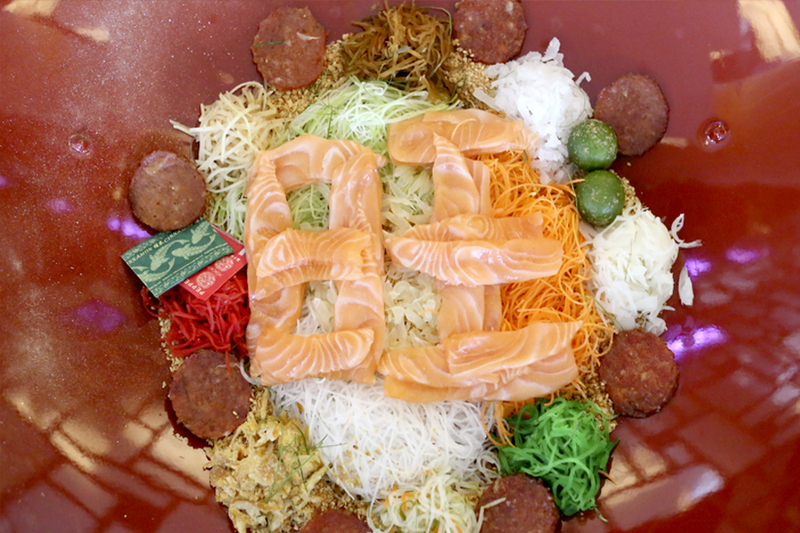 Huat ah! 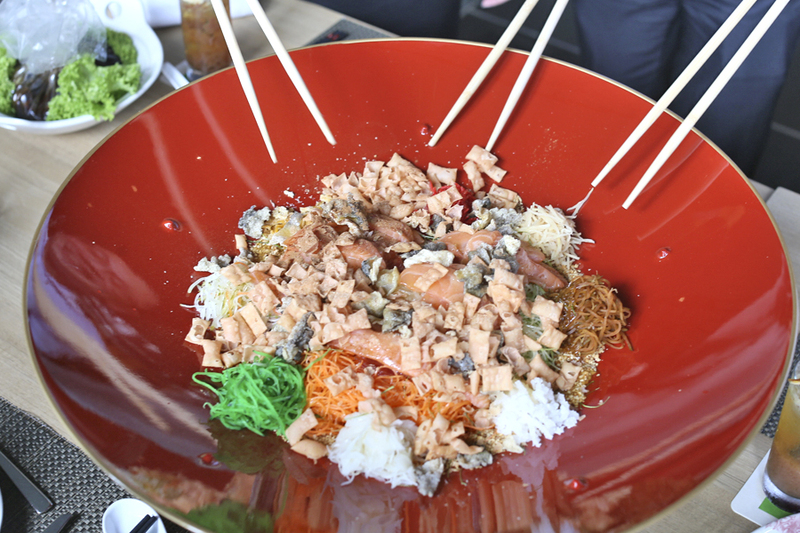 The Prosperity Yu Sheng is served with a few items that I thoroughly enjoyed, namely crispy fish skin and gold coin bak kua which is not so commonly found in other versions. 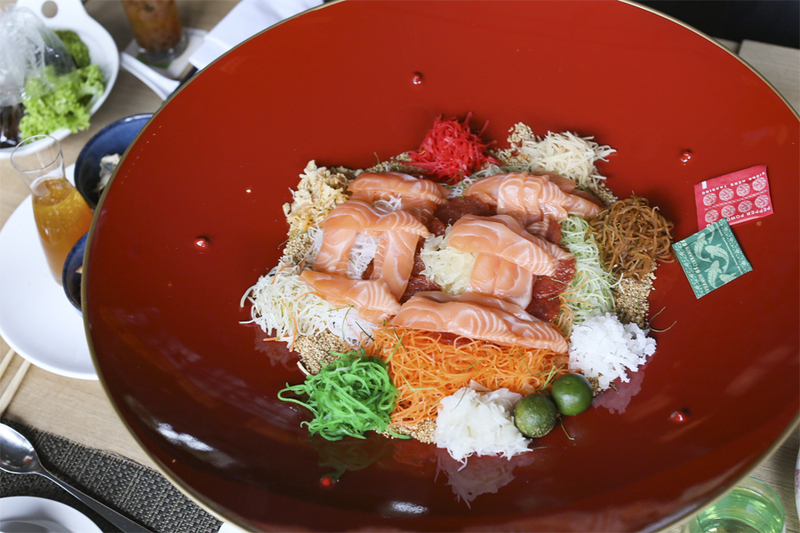 Other highlight ingredients include fresh salmon slices, traditional candied vegetables, poured over with Chef’s special Yu Sheng sauce. 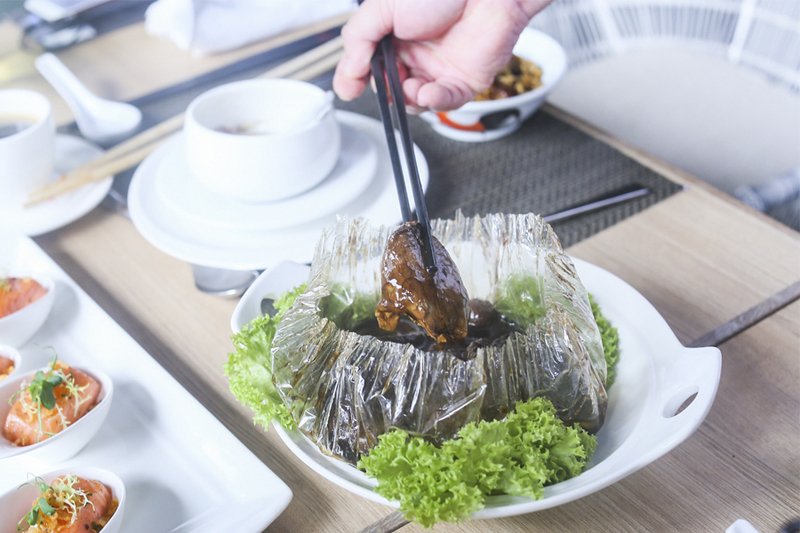 The Buddha Jump Over the Wall, also known as Buddha’s Temptation, has been known to be one of the top Chinese delicacy due to usage of several high-quality ingredients with special way of cooking. Consider this a clear, yet rich and more intensely flavoured soup. 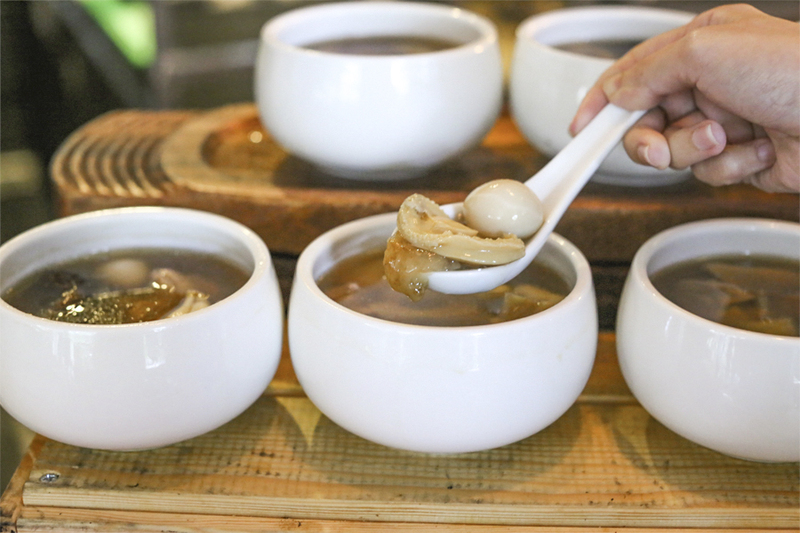 Dig into this bowl and you would find, yes, an abalone. 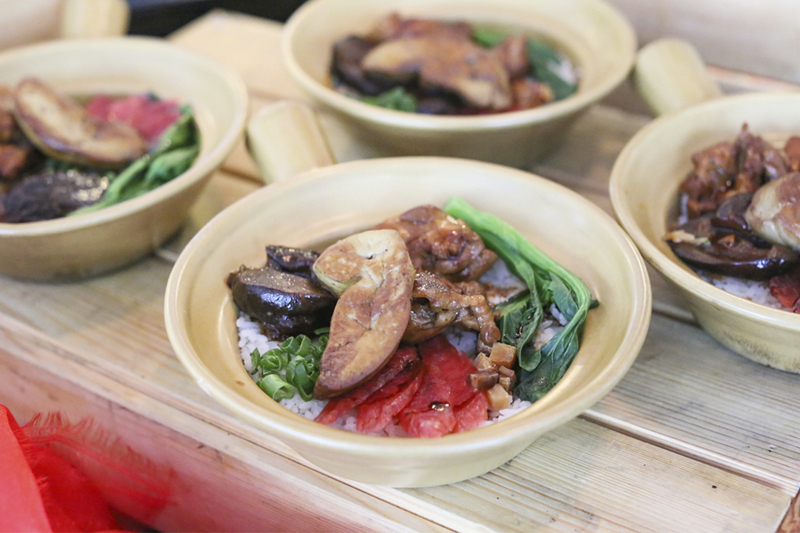 Known for its ‘Foie Gras’, LIME has also included this pan-seared signature on savoury Claypot Rice. 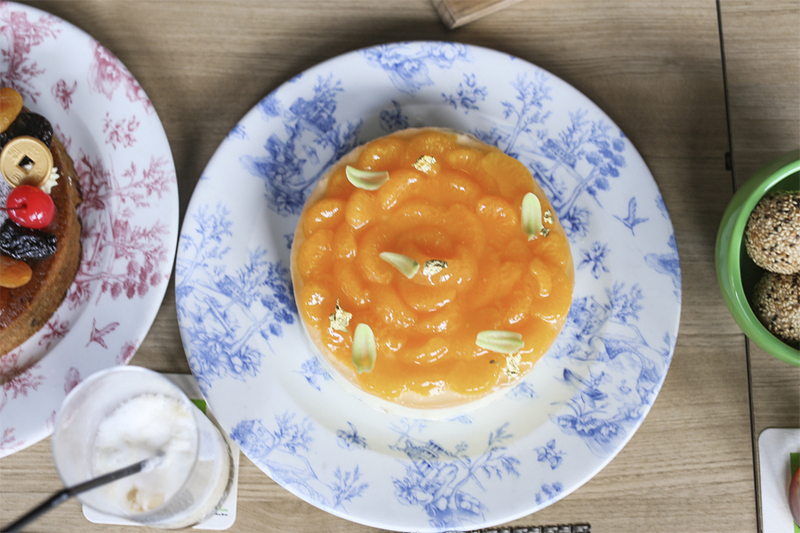 Mix it up to savour the creamy piece in flavourful smoky goodness. 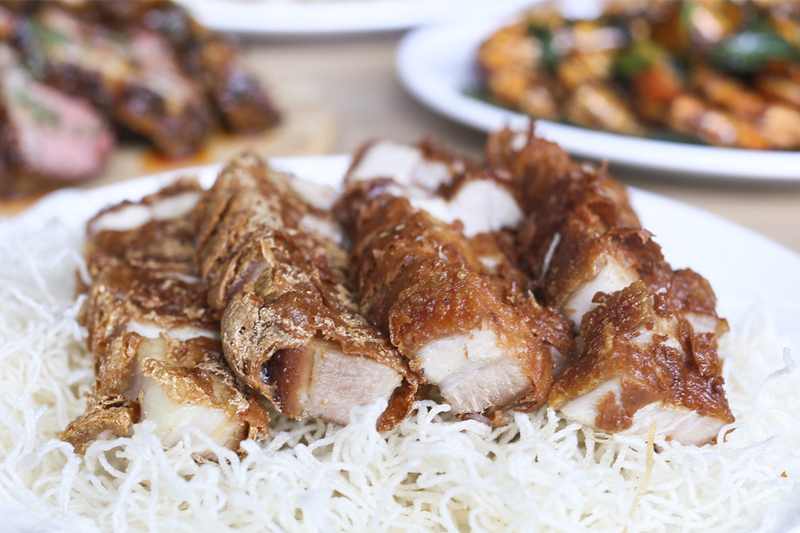 Other superior dishes offered include Peking Duck, Braised Seafood Soup with Fish Maw and Crabmeat, Roasted King Salmon in Salt Crust, Five Spice Braised Duck Leg Carta Fata, and Crispy Suckling Pig treat (for Chinese New Year eve). 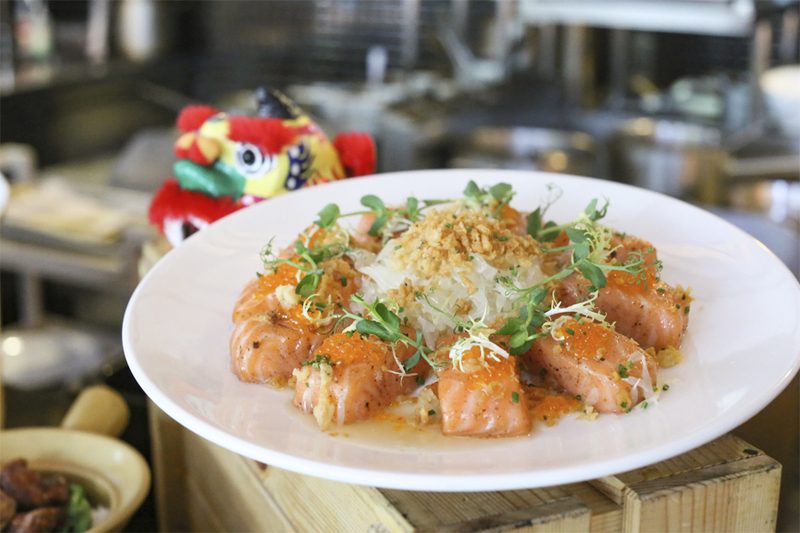 Available for dine-in only between 2 February and 2 March 2018 – Fresh Salmon slices served with crispy fish skin, gold coin bak kua and the chef’s special Yu Sheng sauce, atop traditional candied vegetables. * This entry is brought to you in partnership with PARKROYAL on Pickering. Regarding to the link above and all other promotions that New Year should be “Lunar New Year” as we Chinese and HKgrs won’t say it “Chinese New Year” because this new year is also applied in Thailand, Vietnam, Malaysia, Singapore, Taiwan and Korea….etc. 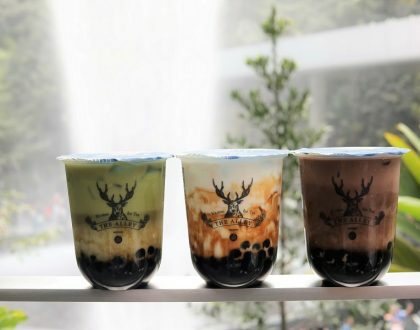 Don’t bother posting about Lime Pickering restaurant anymore. I called them so many times to make reservation, but no one answered. Terrible. 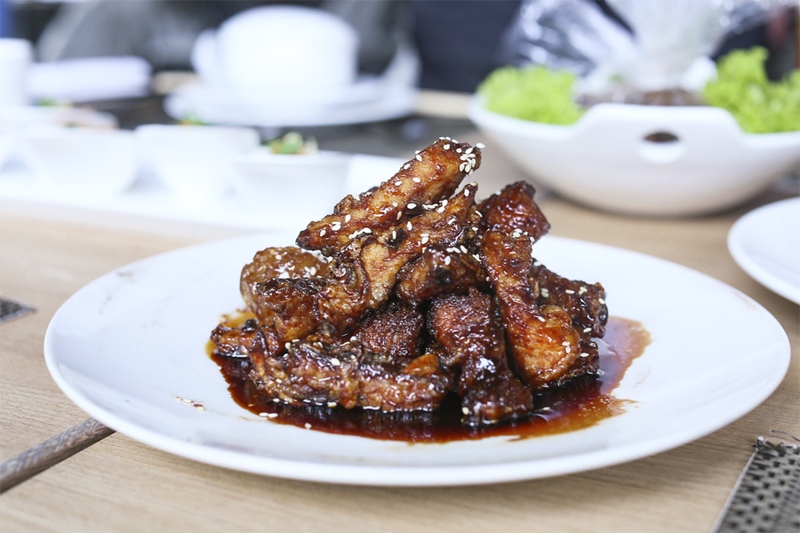 Still available for 15th Feb lunch buffet for 6 pax? Kindly reply with amount per pax and buffet time. Thanks. Hi Jeffrey, it would be best to check with the restaurant directly. 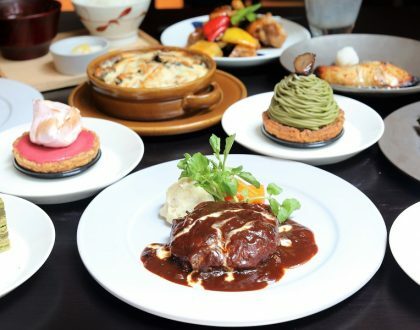 Have a joyous reunion lunch!